As a business owner and entrepreneur, one of your main goals should be to get people to visit your site. Sure, eventually you would like them to become customers, but there’s no way they’ll sign up for your services or buy your product if they don't even know you exist. The trick is to drive QUALIFIED traffic to your site—not just people who are browsing the Internet, but potential customers who are actively in the market for a business just like yours. That brings us to the big question: Exactly how do you generate qualified traffic with inbound marketing techniques? The absolute best way to generate qualified traffic is by providing visitors with valuable information. Sure, they can spend their time researching and collecting the same material if they really wanted to, but you can be the one to provide it all in one place with a resource that is concise, accurate, well-designed, and informative. In addition to attracting qualified traffic to your website, you are also establishing your business as a reliable authority in your field, providing valuable content that can be easily shared, and demonstrating a certain amount of transparency that helps earn consumer trust. While developing an informative and authoritative guide may take time, it won’t cost you a thing to distribute and it is an excellent way to help turn browsers into loyal customers. One of the big challenges for someone new to inbound marketing is how to run effective campaigns. In the early days of the Internet, marketers would simply spam inboxes with newsletters, coupons, and all sorts of annoying mailers. It didn't take long before email providers and search engines started cracking down on these poor practices. While this is good news for most people, it also makes it a lot harder to get potential customers to opt-in to your communication. The best solution is to include calls-to-action that lead to content visitors are interested in which they get in exchange for providing their contact information to you. Good practice dictates that you should be clear with your call so that customers know why they are signing up for and how what they’re getting will benefit them. 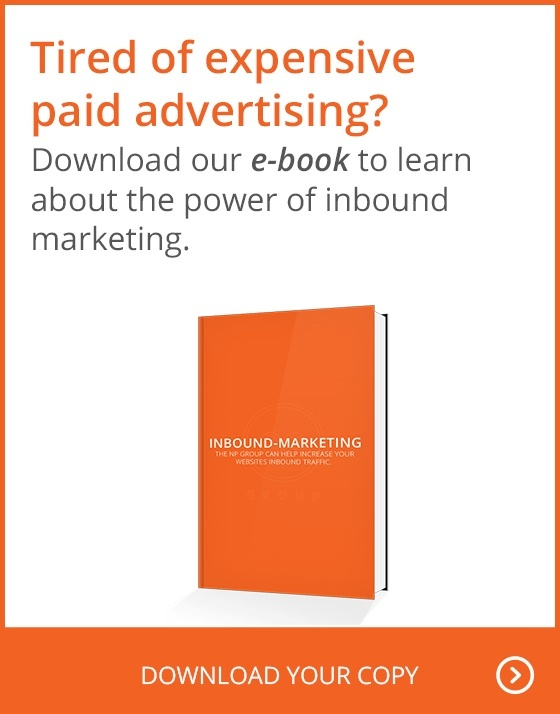 Inbound marketing relies heavily on your ability to provide relevant information. You, more than anyone else, should know exactly the kinds of questions people ask about issues related to your industry. Harness the power of social media, company blogs, and other published content to not only pose, but also answer pressing questions. Stay on top of current events and controversial topics in your industry and make sure that you are leading the conversation with reliable information. In addition to maintaining your own company blog, you should also be actively seeking out guest blogging opportunities. Not only will guest blogs help you build your brand presence, they will also provide high quality, organic links. These are exactly the types of links you need to score points with major search engines and move up the rankings. You may be surprised by how receptive even the most exclusive publications are to publishing well-written guest posts, so don’t hesitate to set the bar high and try to build relationships with industry leaders. Creating written content is clearly great, but don’t forget about the visual learners out there! While an infographic may include the very same information that you wrote about in your blog or highlighted in a free guide, presenting that data in a new way can make it more attractive and shareable. If someone is searching for information related to your industry, they may be more drawn to results that include a visual aid that distills all the important points down into an easily digestible presentation. Visual content also tends to be shared more on social media outlets. If your audience appreciates your expertise, they will be much more likely to post it, tweet it, pin it, and help you reach other likeminded people interested in your products and services. These are just a few ways that you can use inbound marketing to generate qualified traffic. What all successful modern marketing techniques have in common is that they provide the reader with valuable information that can be easily digested and shared. Get creative with how you deliver that information, but the key is to offer something of value for free.